We knew from when we were first trying to have a baby through to when I was arranging my maternity leave that we would be using a nursery. 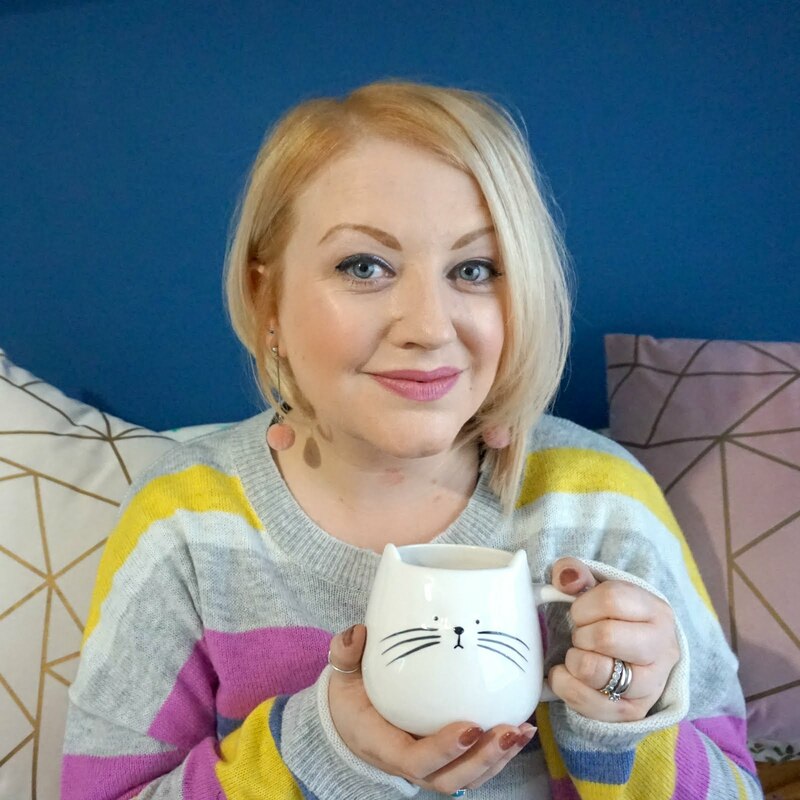 We couldn't afford for me to be a stay-at-home mum so we knew we'd need childcare and in the beginning, we decided that full time, four days a week would be best for us. Ethan started nursery when he was eight months old, at the start of January 2014. I'll admit that whilst it was something we knew would happen, I still shed several tears on that first morning drop off; it felt too early, he felt too tiny, and I felt so guilty. Ethan didn't seem worried at all, and I soon realised I had no need to be either, as he settled in quick and it didn't take much time to see the difference the nursery was making to his development - and to helping our family. Every parent makes decisions based on their circumstances and what will work best for them and their child/children. I have no doubt whatsoever that Ethan's time at nursery helped him to develop into a sociable, adjusted and inquisitive young boy, like he is today. Of course, I'd like to think we have something to do with that too, but it was a great start and with no other children in our family or circle of friends at the time, he needed to be in that environment. And he grew and blossomed and to this day, 10 months after he left, he still talks fondly about his memories of nursery. We started looking early on, when Ethan was just known as 'Bean' in my tummy, and at first didn't really know what questions to ask. But over time, we came to understand our son's needs more, and what to expect from childcare, and having seen a fair few nurseries, know what things to ask about. What start and finish times do you offer to parents? Are there extended hours? How many children are there to each nursery worker, and how many children in each group? How many weeks' do you pay for a year, are the days / hours chosen fixed and do you pay in advance for care? Do you provide all food and other requirements, such as nappies and wipes, or do they need to be provided? How are dietary requirements catered for? When it comes to nap time, how do you approach this? Do all children sleep at the same time or do you attend to each child individually? What's your policy on delivering medication, such as Calpol? 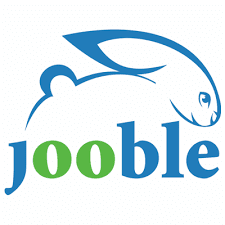 Do you have any guests or special events, celebrating occasions or calendar dates? Are there events or opportunities to meet nursery workers and other parents? How do we access the nursery as a parent? Can we add family members to do pick ups in our place? At the end of the day, what information do you provide on our child's day? Do you send home reports regularly on our child's progress? How do you approach learning and development from ages 0-5? When do we need to confirm our requirements to guarantee a space? There's bound to be plenty more, and visiting a nursery will bring up more specific questions for sure, but hopefully this gives you a good starting point. There's obviously guidelines that all care providers need to follow, but each nursery will have their own way of doing things so it's good to be clear from the start. I went along to visit the recently opened Bright Minds Daycare nursery, in Edgbaston, to find out what it was all about and to ask some of those first questions to find out what they have to offer little ones. You can read all about the background to Bright Minds in my previous post, but having been for myself, I have a lot more to tell you now. 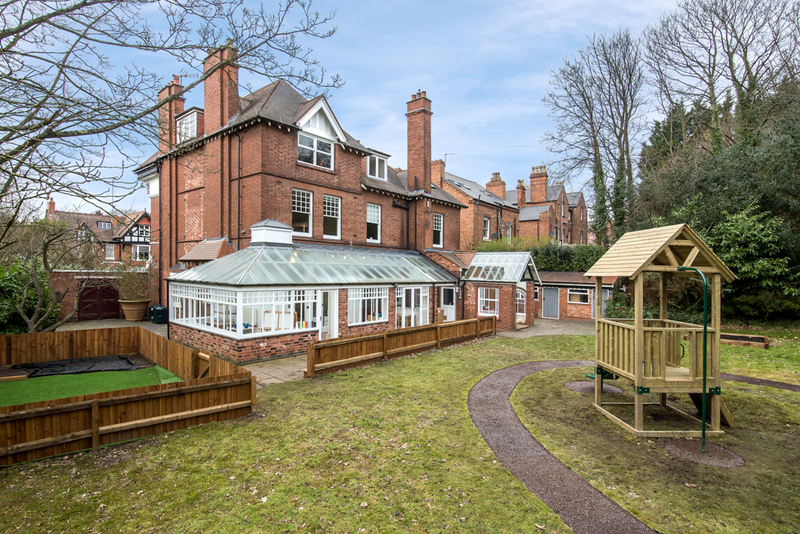 The Edgbaston daycare location is set within a beautiful house, built in 1899, full of character but importantly, featuring lots of big, spacious rooms and a great enclosed garden at the rear to explore. I couldn't believe how beautiful the house was on the inside too, with so many lovely original features sensitively made use of by Bright Minds to create a really homely and engaging environment. Everything has been thought of from what I could see. Speaking to the manager, Kerry, I learnt that she had fee rein once the house had been acquired by Bright Minds to create the ideal nursery. Whatever they wanted could be made a possibility and the end result is really impressive. There's a big playroom space filled with role play furniture, texture and shape play, reading nooks and more. Having only been open a few months (and with high standards), everything still looked brand new and there's definitely a place for everything. 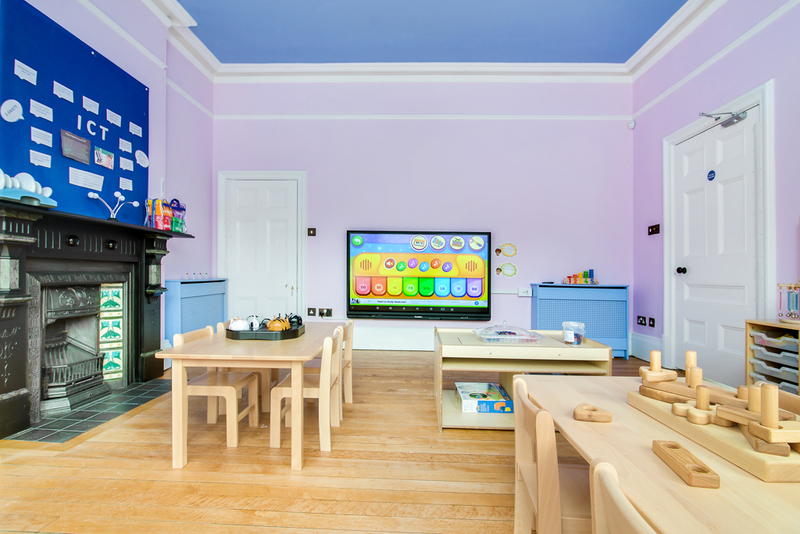 This room is for the older children, whilst a similar space upstairs is equipped for younger children. In fact, there's also another interactive room up on the second floor, and toilet and changing facilities for children to use for themselves when big enough, and a sleeping room for naps. 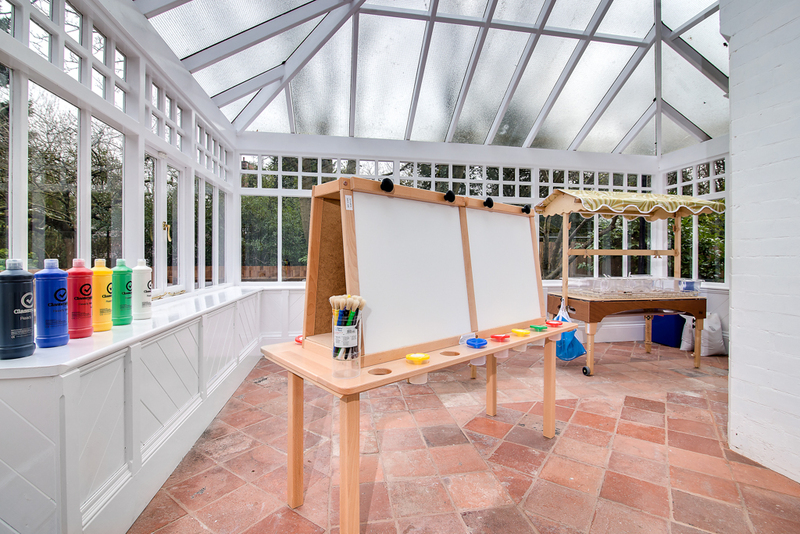 The conservatory area is a great spot for arts and crafts and there's another room on the ground floor that's for ICT and numeracy, featuring a large interactive television screen and plenty of workspace areas. Kerry was showing around a couple and their six month old daughter when I was there, and it was good to learn about the nursery through the eyes of new parents doing their research for the very first time. 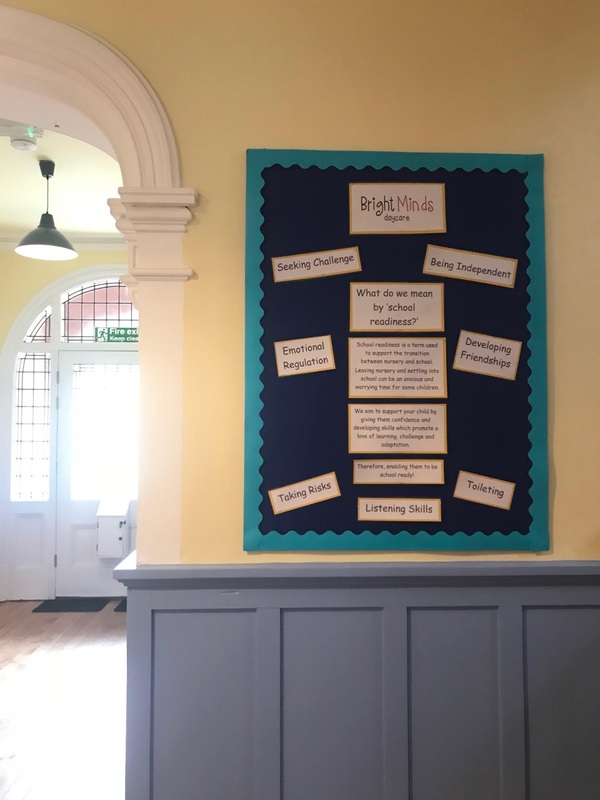 The whole Bright Minds ethos centres around every child being different and that learning happens for children in different ways, so the care and activities provided need to be adapted for each individual. We have experienced this ourselves, and it's encouraging to hear that Bright Minds will tailor their approach to suit the needs of every child. No mean feat! As well as providing a fun yet structured programme of learning, Bright Minds Daycare has plenty to inspire young minds. 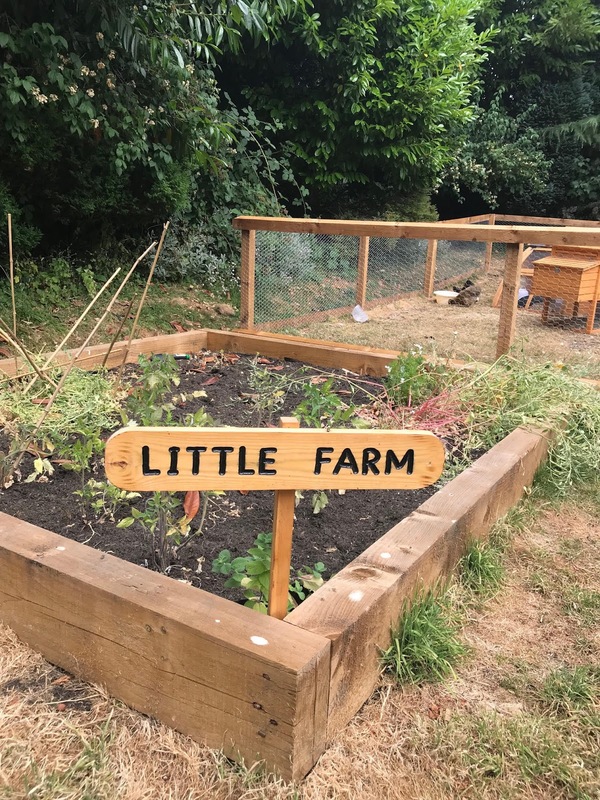 I really loved the garden, with different areas for creative play, a Hobbit style playhouse, a mud kitchen, some play equipment and even chickens that the children get to learn about and care for. Then, on the third floor, there's something extra special. A performance room, painted sky blue with seagulls flying overhead, where creative arts are explored. Dancing, singing and music, and even baby yoga. 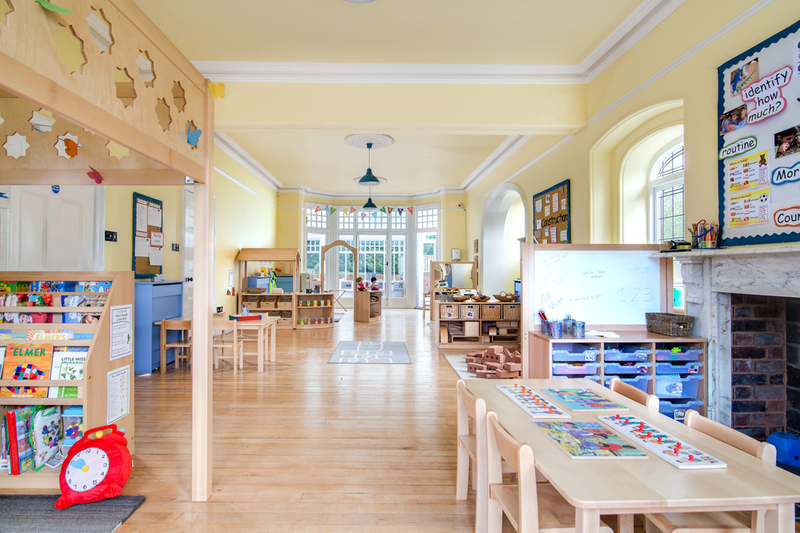 I learned that the nursery has close connections to other community and school groups, so this space is used to bring in special guests and give the children different experiences. I made a stop in the kitchen to meet the cook and ask a few last questions, and having tried some of the homemade food for myself, I can testify to the tastiness - the children definitely have the best of everything! An introduction to Bright Minds Daycare from Bright Minds Daycare on Vimeo. 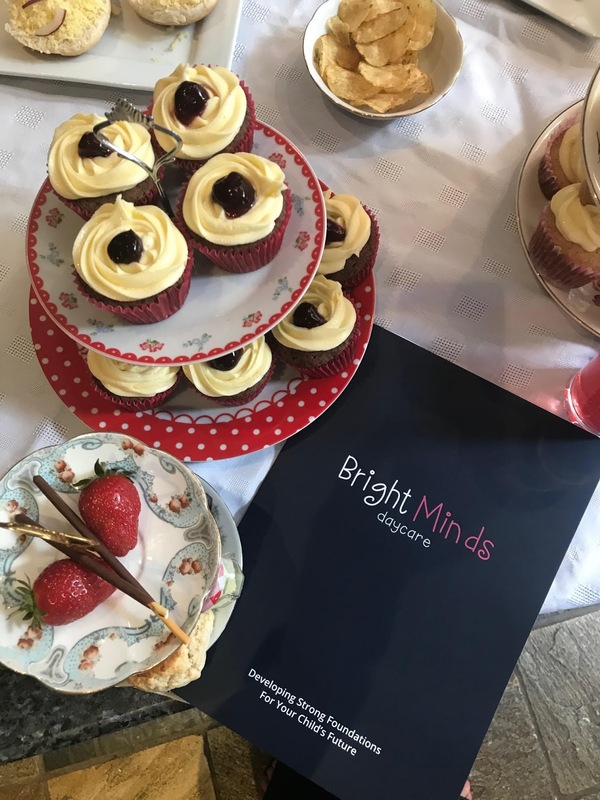 I enjoyed my time at Bright Minds Daycare Edgbaston (watch this space, as another location is being prepared as we speak in Birmingham's Jewellery Quarter) and left feeling very calm and inspired myself. 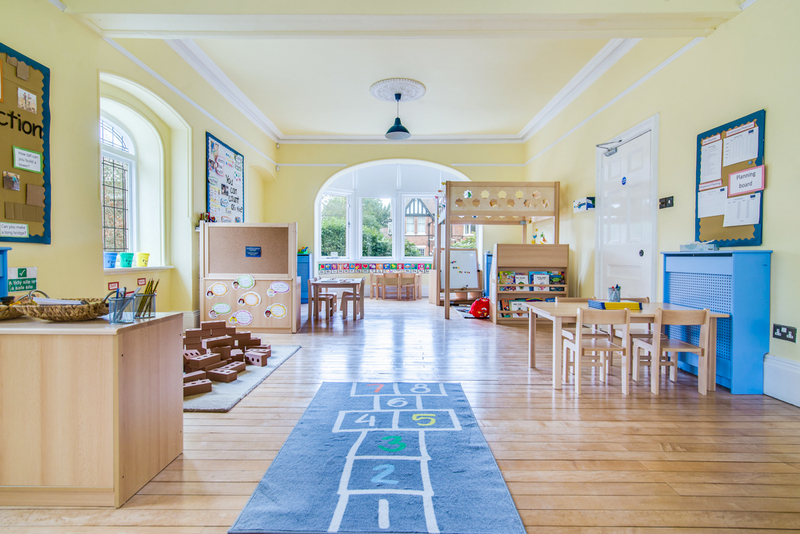 There's no doubt that every detail has been thought of and the environment offers everything that you could want for your little ones. 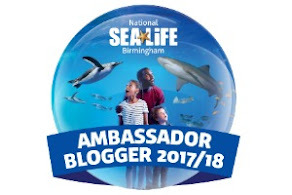 A very special nursery, well worth looking into if you live or work in or around the Edgbaston area. No appointment is necessary - all they ask is that you please register your interest by giving the a call (0121 679 9340) or emailing them at info@brightmindsdaycare.co.uk. Find out more about Bright Minds Daycare, their approach to learning, and support for parents.